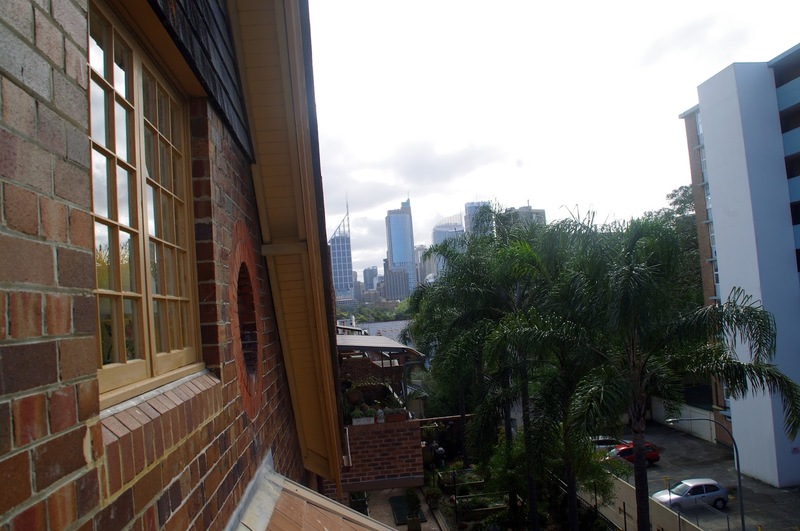 We spent our last night in Sydney at the lovely Simpsons Hotel of Potts Point. 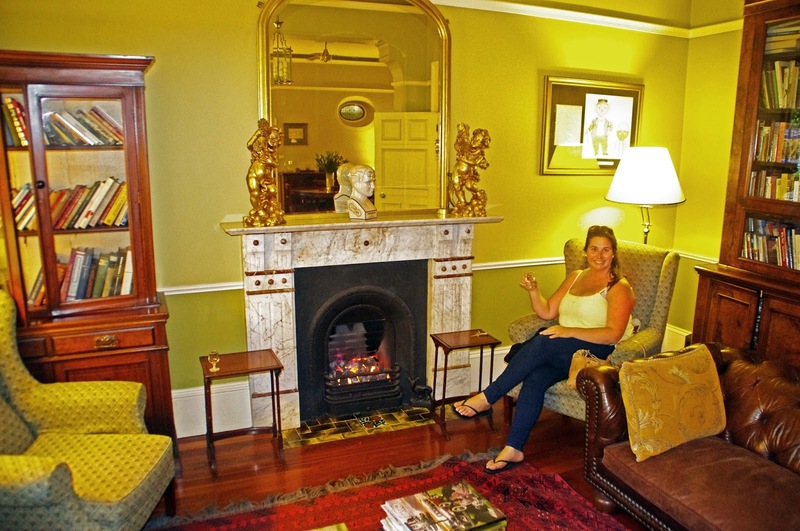 Simpsons is a beautiful, historical boutique hotel that has embraced its history and architecture which date back to the early 1890s, while still ensuring its guests have the very best in luxury and comfort throughout their stay. It was the perfect place to relax and enjoy our last few days in Australia. 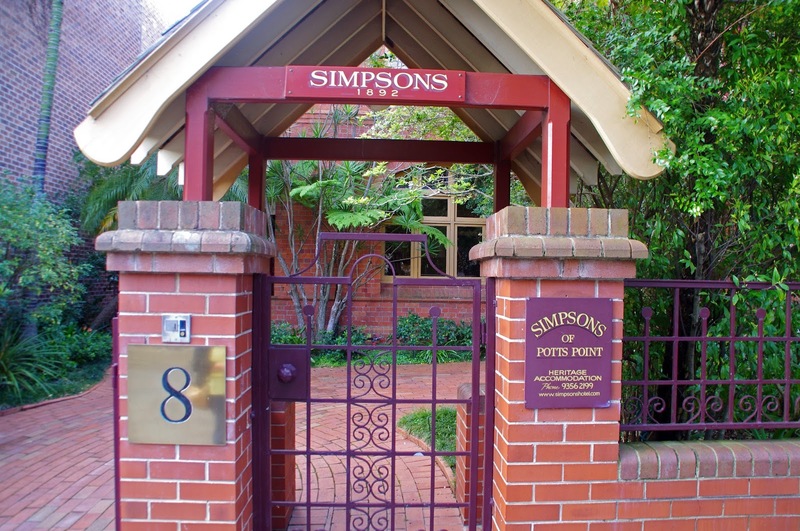 You’ll find Simpsons in a stunning, quiet, tree lined street in Sydney’s upmarket Potts Point. 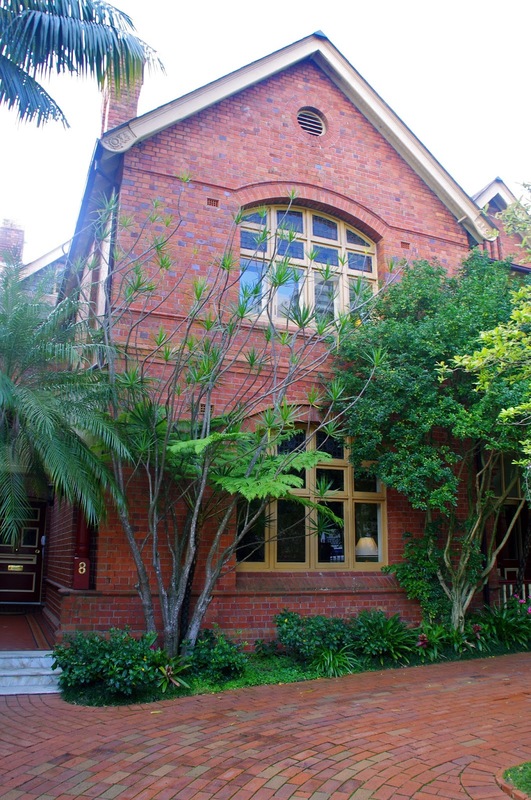 It is a beautiful red brick building located in the historical, art deco district of Potts Point. We knew from the moment we arrived at Simpson’s that we were in for a treat. 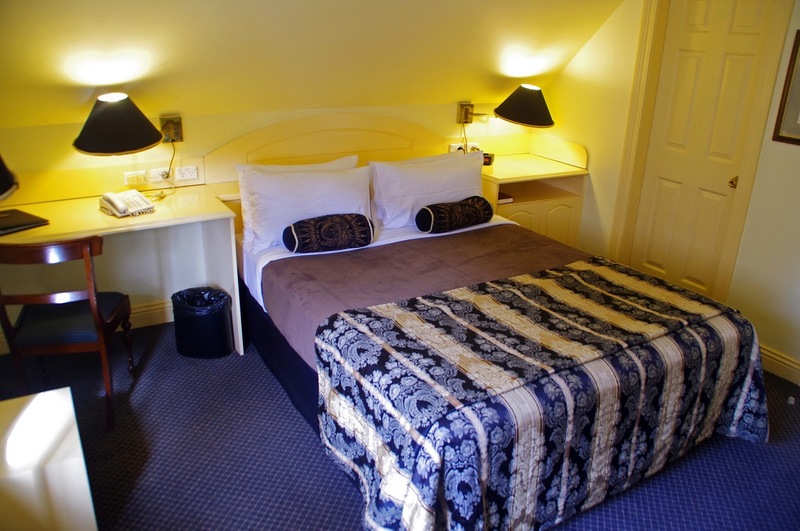 The hotel has truly perfected the combination of history, art and architecture with excellent personal service, luxury and all the modern amenities you could want or need during your stay. 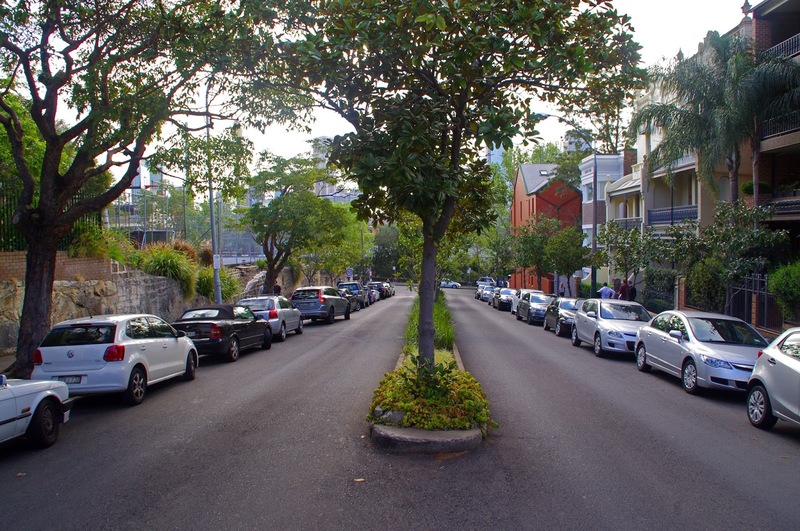 The location is ideal as there are an unlimited amount of restaurants within a short stroll and it is also walking distance to the Botanic Gardens, the Rocks, Circular Quay and Sydney CBD. For those travelling without a car, it is only a 10 minute walk from Kings Cross Train Station which we managed easily with our bags. 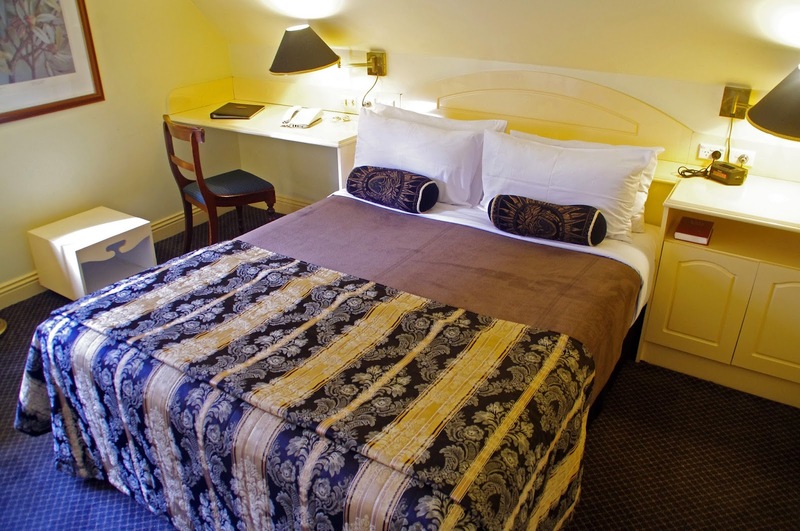 We love staying in boutique hotels for their luxury, charm, uniqueness and the wonderful service which you don’t always receive in chain hotels. Simpsons is a wonderful example of this. The history and architecture of the hotel have been embraced and respected throughout its restoration whilst still ensuring the hotel is luxurious and features all the modern comforts and amenities which you would expect of a top hotel. 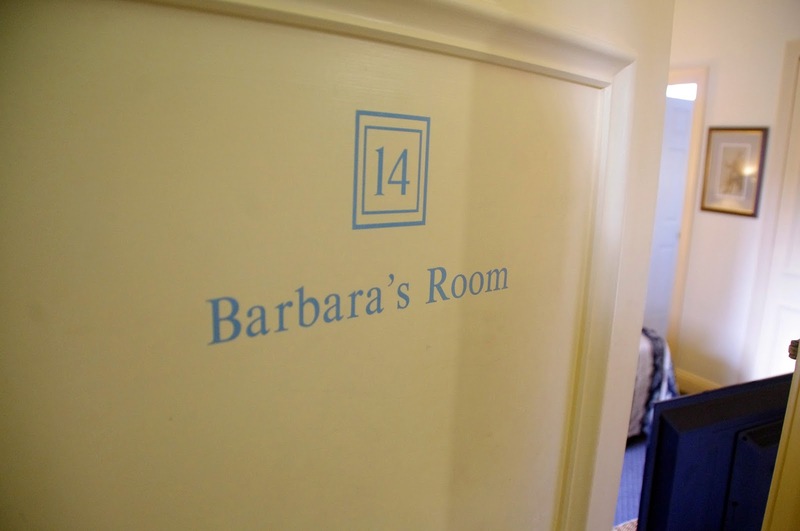 Each room at the hotel is unique and we stayed in “Barbara’s Room”, a Queen bed room. 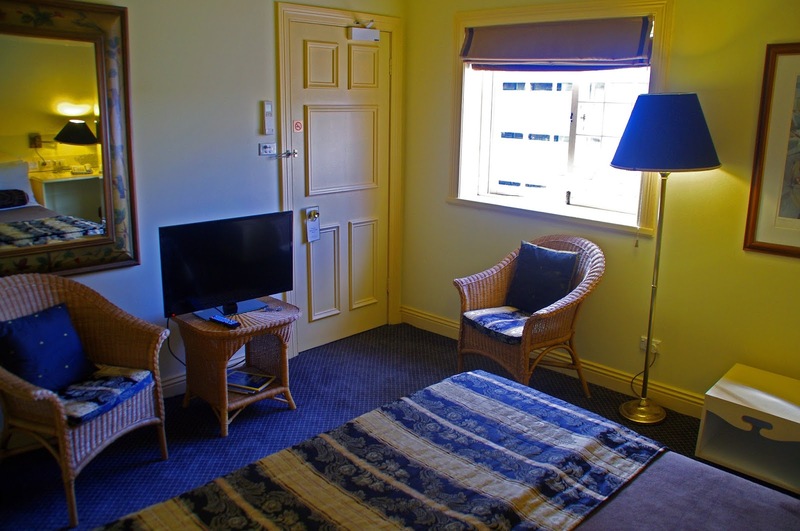 The room was spacious, beautifully and carefully decorated and a lovely space to enjoy and relax in comfort. The room had a TV, Wi-Fi, tea and coffee making facilities, air conditioning and ceiling fan. 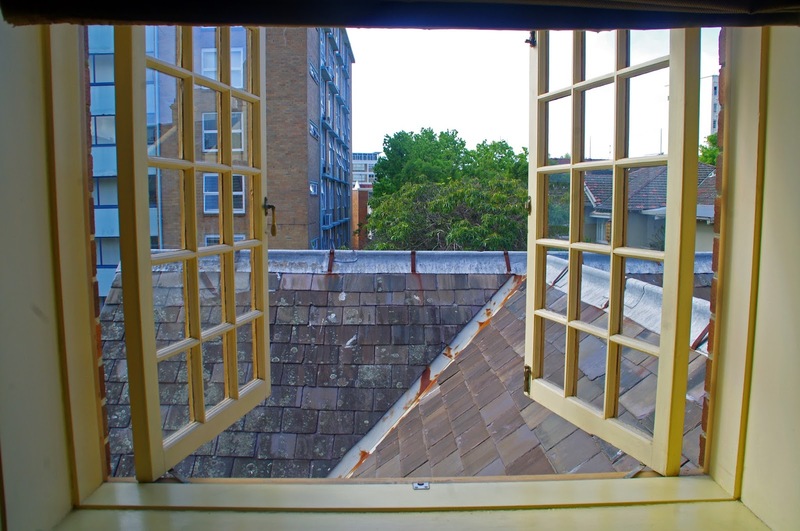 It also had lovely, wide windows which opened up letting a lot of natural light into the room. Our bed was very comfortable and ensured we had a perfect nights sleep! The bathroom was on the smaller side. 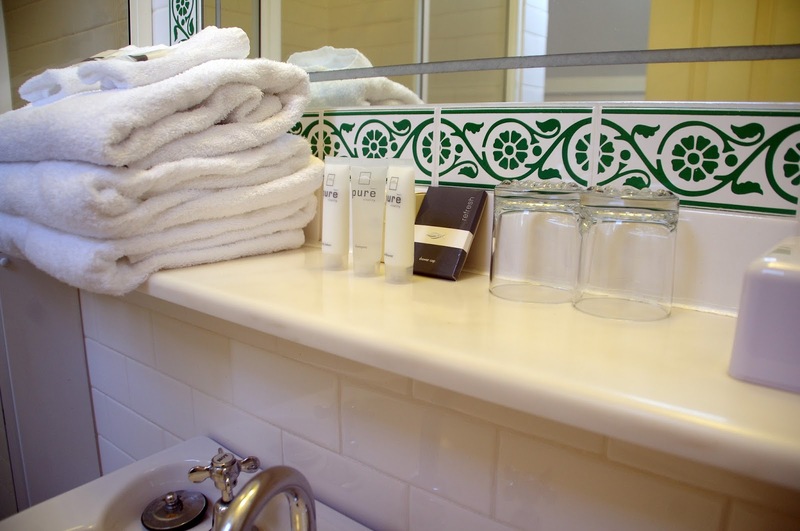 but was still spotlessly clean with fluffy, soft towels and luxurious toiletries provided. 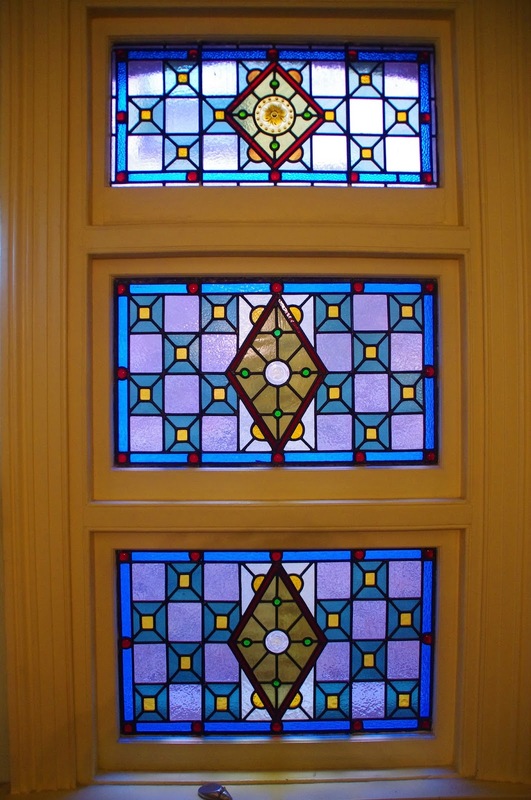 The large window allowed a lot of natural light into to the bathroom which we enjoyed. 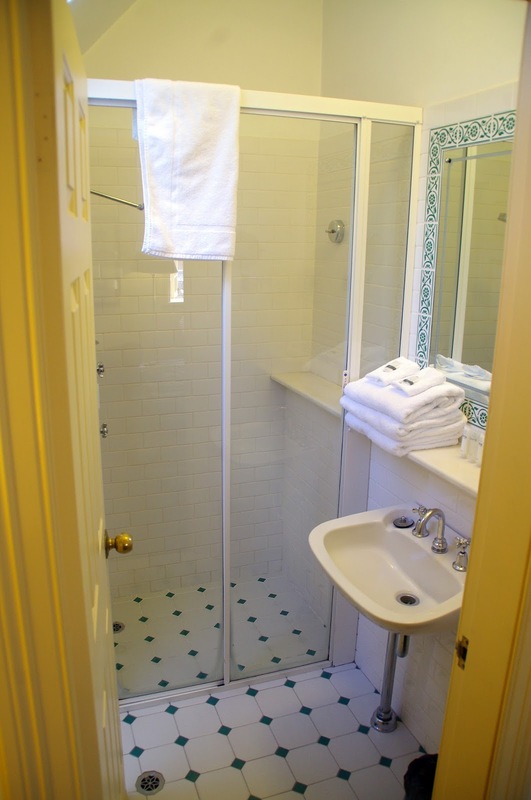 Some rooms do also have bathtubs so if that is what you like, be sure to request one of those! We loved the decor of Simpsons and from the moment we arrived we enjoyed wandering around exploring the nooks and crannies of this lovely hotel. 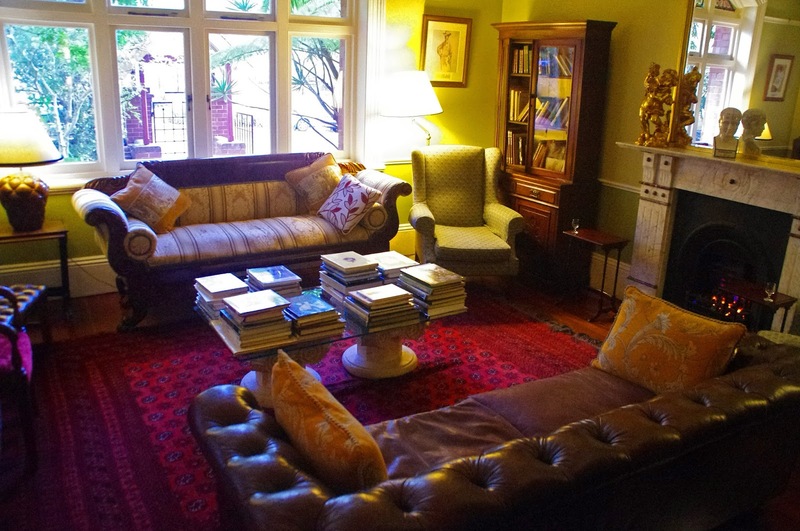 The drawing room/library is a lovely room to relax in, with wide windows showing the beautiful gardens and street outside with a fireplace to keep you warm and cosy! 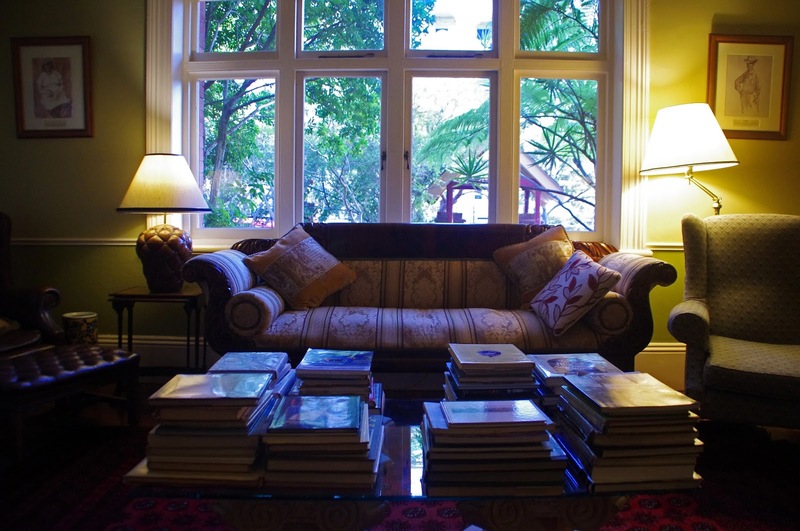 There is a very extensive library full of books for guests to borrow during their stay. We were really impressed with the wide selection of books. The room also has a computer for guests to use and for those who have brought their own laptop there is complimentary wifi (which worked perfectly for us throughout our whole stay). A continental buffet breakfast is included in your stay, and is served each morning in the conservatory. Unfortunately our flight was really early and we had to leave at 5am and so we didn’t get to experience the breakfast, but we read excellent reviews online leading up to our stay! Our hosts were kind enough to provide us with a map and take the time to tell us about great restaurants and things to do and see in the area. After settling into out room we headed off with our map down through the gardens and towards the Harbour. 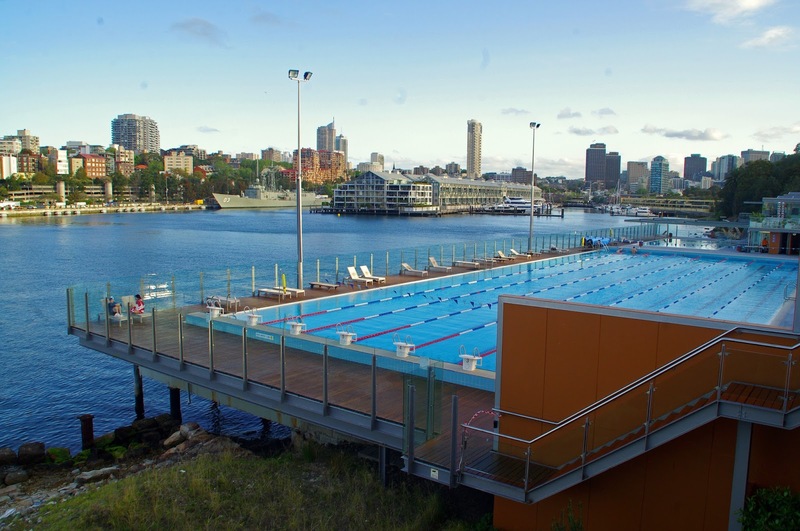 We walked along the water past the Andrew (Boy) Charlton Pool, the Domain, Mrs Macquarie’s chair & towards to Harbour Bridge. 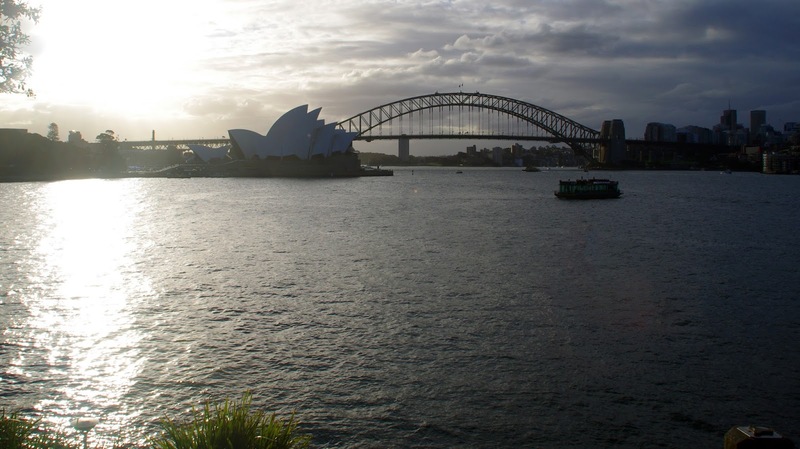 We stopped to take in the last rays of the day as the sun set behind the Harbour Bridge and Opera House. It was such a lovely walk and only a stroll from Simpson’s which was lovely. We then headed back and settled into the hotel, stopping to relax in the library and enjoy a complimentary port by the fireplace. 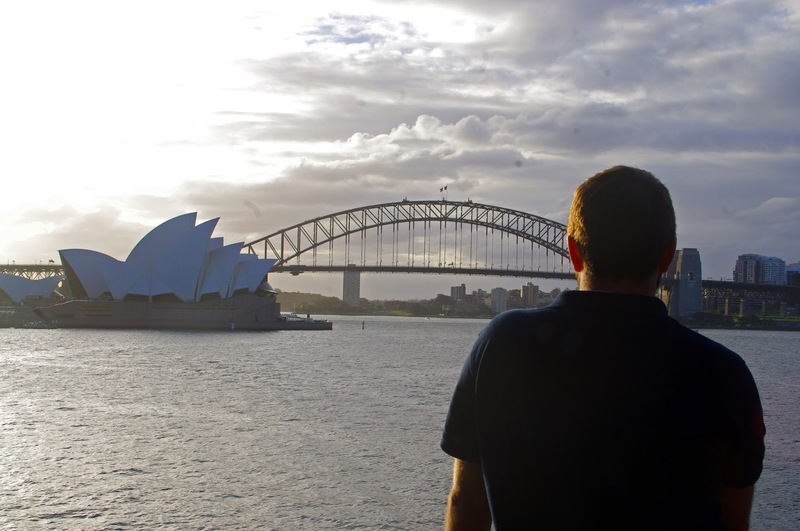 It was the perfect way to end our trip to Australia. 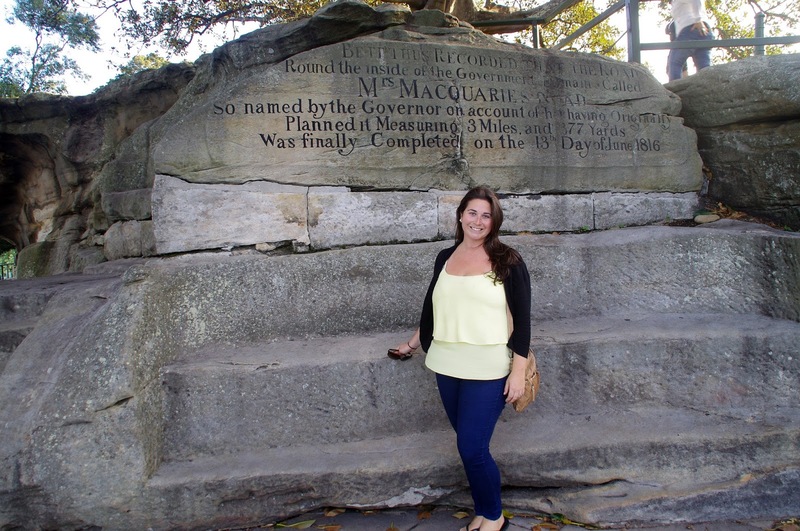 We had a lovely stay at Simpsons Hotel, it truly is a beautiful, historical boutique hotel which allowed us to explore a great part of Sydney that we wouldn’t have otherwise visited on this trip. 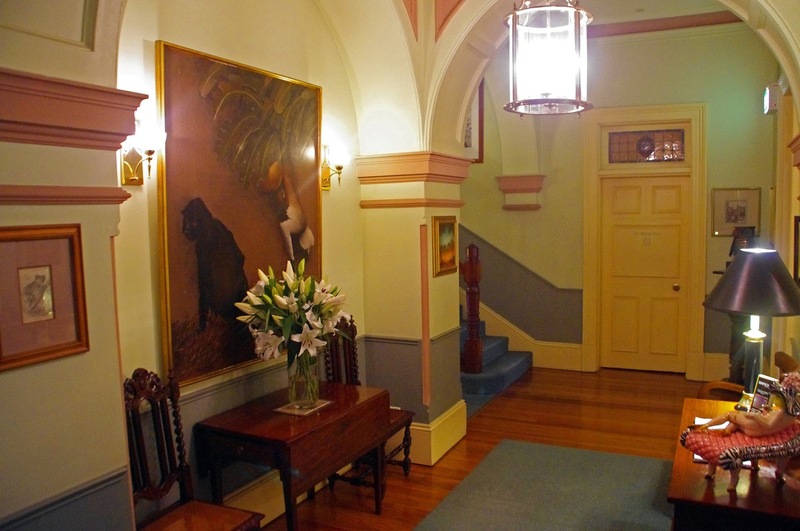 For anyone who loves excellent service, boutique hotels and historical buildings we highly recommend Simpsons Hotel in Potts Point. The next morning we had an early flight back to London and we arranged a transfer with Redy2Go. who provide Sydney Airport shuttle services. Our driver turned up on time, helped us with our luggage and ensured we made it to the airport on time. The spacious shuttle bus was comfortable and we could not fault the service we received. Redy2Go provide a great alternative to (very) expensive airport taxis and we would recommend booking a transfer with them if you are travelling to or from Sydney Airport. 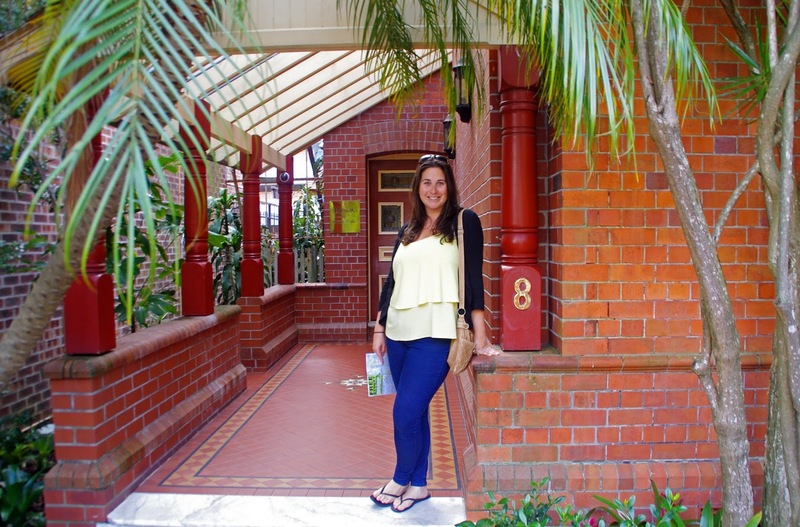 The Aussie Flashpacker was welcomed to Simpsons Hotel as a guest.